Boulder...the one man that made my body quake with just one look. It was madness. There was so much I didn't know about him. For that matter, there was so much that he didn't know about me...like the evil darkness lurking inside me, waiting to be unleashed. He laced his fingers with hers, his lightly tanned skinned contrasting beautifully with her glowing mocha skin. “Darlin’, that’s a given.” He grabbed her chin gently. “Understand this. I don’t take the preciousness of life lightly, but if it’s a choice between your life and theirs… I’d choose you every time.” His canines dropped with a feral glint in his eyes. “Besides, you and I know they have it coming at the dull end of a rusty knife,” he stated icily. Her arms tightened around his neck as she looked deeply into his eyes. Boulder kissed her lips. He smelled the fear all over her. He wanted to give her words of comfort, but they would be meaningless in the days to come. There were hard times ahead for both of them. His mind rebelled at the secrecy he was bound to, but he knew that revealing it would only have disastrous results. Her fear would eventually pass and somehow she would deal with the heartbreaking loss… no matter how temporary. Her resilience would cement their bond in the end. This was her burden to bear. Her test to pass or fail. He buried his nose into her neck. “Your smell is intoxicating,” he muttered. His nose lingered along her pulse as his hands pinned her arms above her head. His lips touched her ears. “I need you.” His voice became hard, demanding, showing her he was in charge. 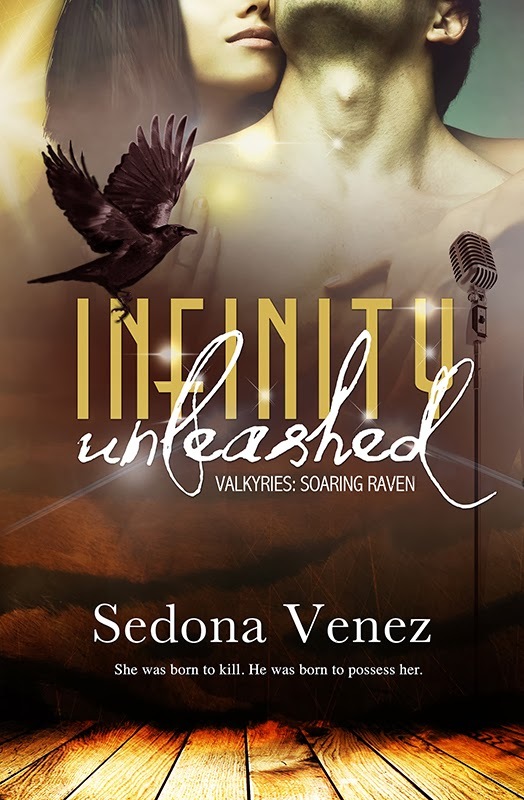 Sedona Venez is the author of the New Adult Credence Curse series, and the New Adult Valkyries: Soaring Raven series. She is a NYC girl (go Brooklyn!) with a slight obsession with her iPad, Pinterest, and television shows Pawn Stars and Face Off. Her love of music, tattoos, rockers, alpha men and wolf-shifters inspires her edgy paranormal romance novels.